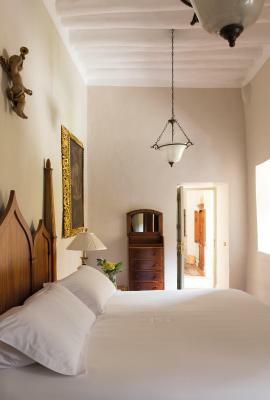 Lock in a great price for Belmond Hotel Monasterio – rated 9.5 by recent guests! Great breakfast and great location. The room was absolutely wonderful. Location. Comfortable. Garden. Breakfast. 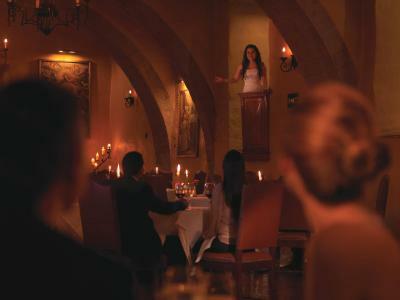 Live music at the Tupai Restaurant. Clean room. Decoration of the hotel. Oxygen in the room. 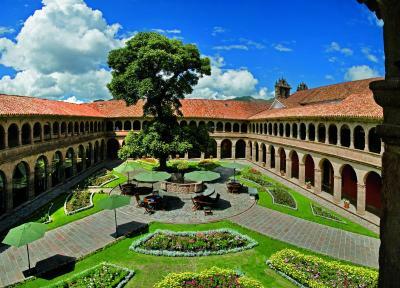 beautiful monastery built into a luxury hotel. 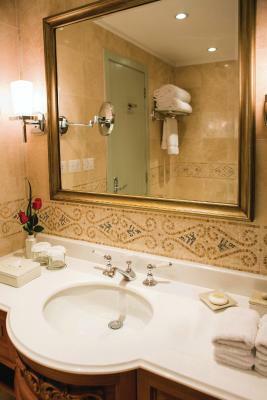 Every room and feature is exquisitely done. Excellent service from every member of the staff. 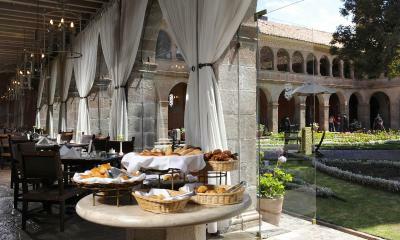 Great buffet breakfast and beautiful courtyard for having drinks. Great building in a great location: all the staff are very attentive to our needs. Excellent! The hotel and gardens are beautiful! As a bonus, there is a gorgeous chapel within the hotel. We only had breakfast in the restaurant, but it was excellent as well. Staff were always helpful and friendly. the people, service, and food at the restaurant and breakfast area. 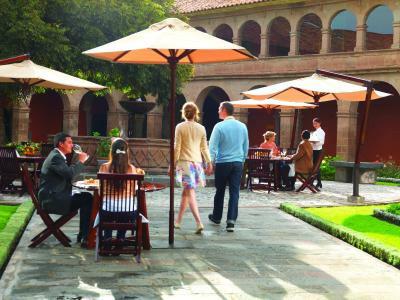 Belmond Hotel Monasterio This rating is a reflection of how the property compares to the industry standard when it comes to price, facilities and services available. It's based on a self-evaluation by the property. Use this rating to help choose your stay! 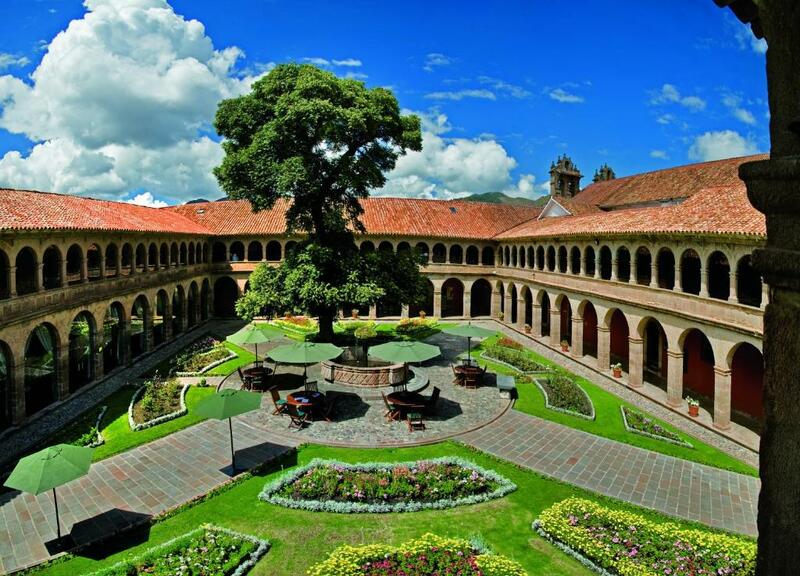 This former monastery dated from 1592, offers luxurious colonial-style accommodations set around a courtyard. 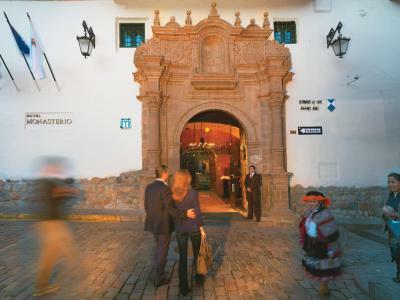 It is located in Cusco's lively historical city center and 2 blocks away from Plaza de Armas Square. 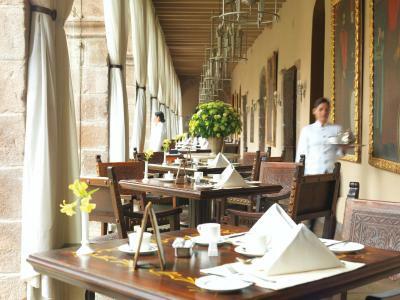 Dining options at Belmond Hotel Monasterio include Tupay and Illariy Restaurants where Andine cuisine and breakfast are served. 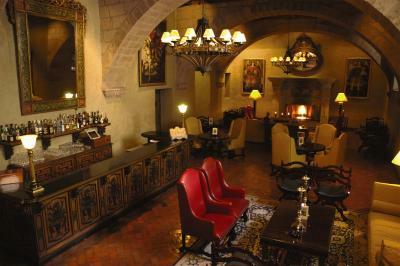 Fine wines are ordered in the lobby bar and room service is available. 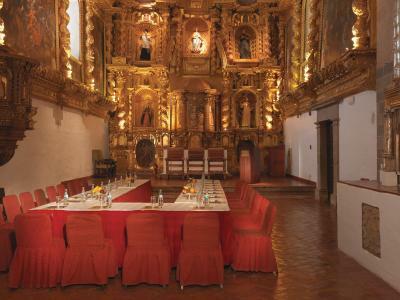 Leisure activities include horse riding, mountain biking and treks to the magnificent Machu Picchu. 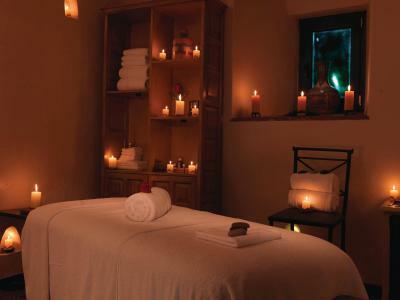 After all the effort, massage treatments can be enjoyed. 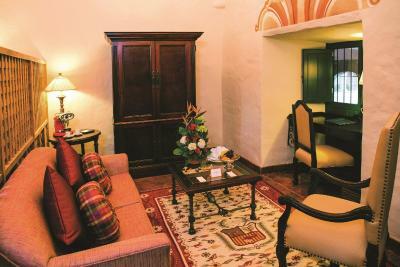 All guests are welcomed with fresh fruit and coca tea. 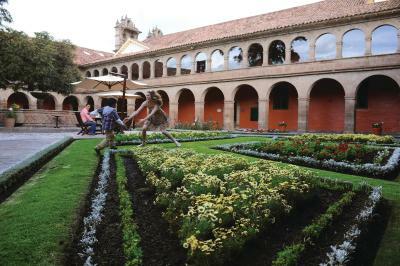 Belmond Monasterio Hotel is located 3.1 mi away from Velasco Astete International Airport and a 20-minute drive from Poroy Train Station. 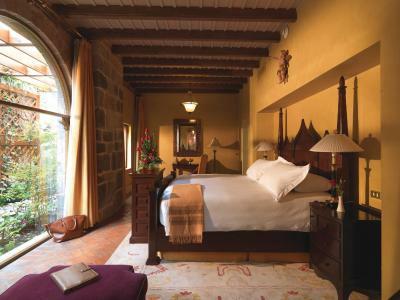 When would you like to stay at Belmond Hotel Monasterio? 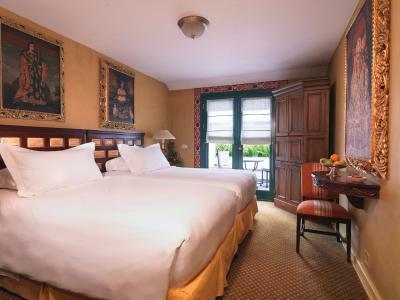 This deluxe double or twin room features charming colonial interiors with an additional space to relax. 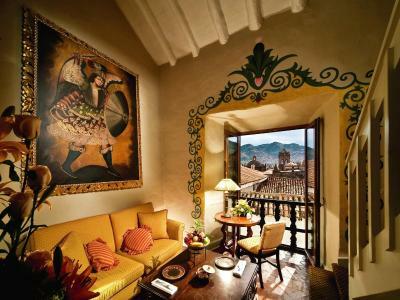 Windows look across the courtyard or over the cobbled streets of Cusco. 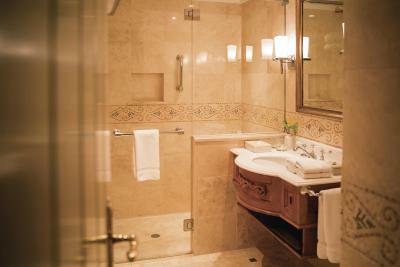 Elegant bathrooms offer shower only. 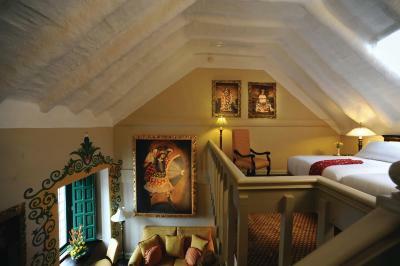 The junior suite is a luminous and spacious room distributed in two floors. 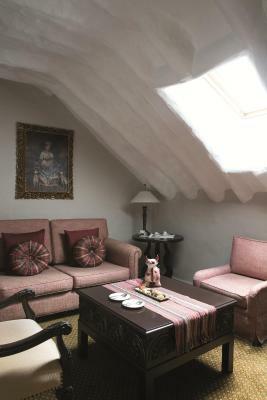 The room features the bedroom on the mezzanine and a large seating area in the main floor. 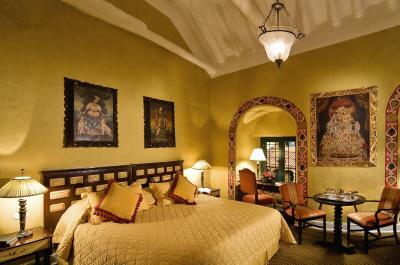 The suites are decorated with rich wood furnishings and antique artwork, as well as courtyard or city views. 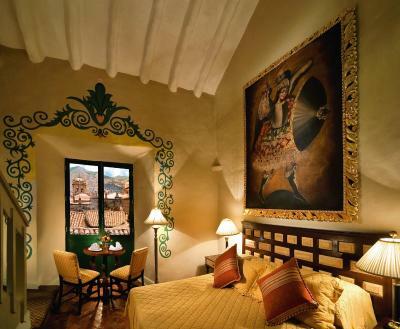 Additionally, this room is enriched with oxygen, helping guests feel more at ease with Cusco's altitude. 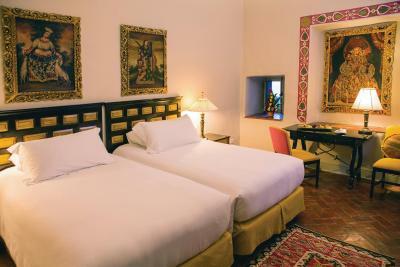 This superior double or twin room features a warm Spanish colonial décor and can be configured with a king-size bed or 2 twin beds. 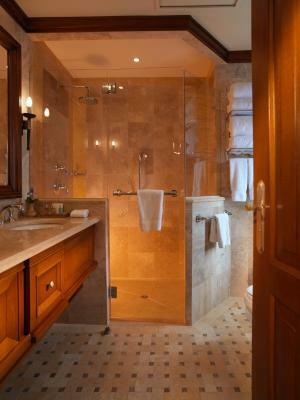 This room is equipped with a private bathroom completely covered in marble. 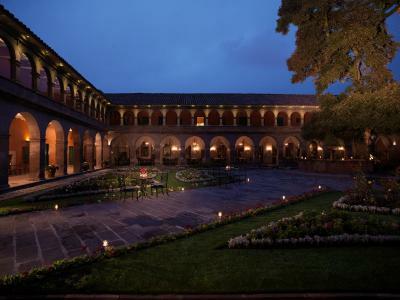 The room provides either courtyard views or views of the hotel's beautiful exteriors. 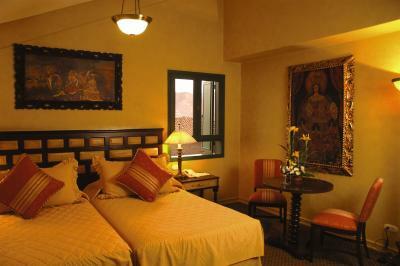 Superior Double or Twin Room -Oxygen Enrichment. 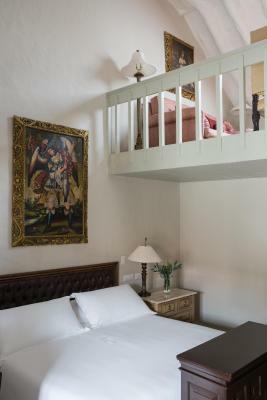 This superior double or twin room features a warm Spanish colonial décor and can be configured with a king-size bed or 2 twin beds. 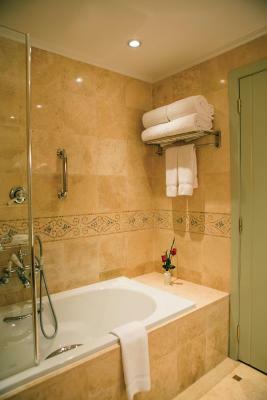 The room is equipped with a private bathroom, completely covered in marble. 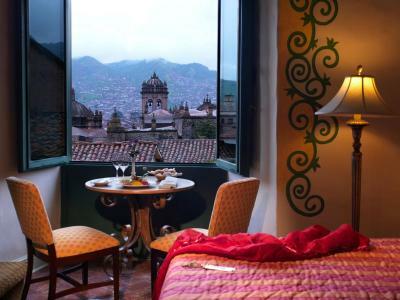 The room provides either courtyard views or views of the hotel's beautiful exteriors. 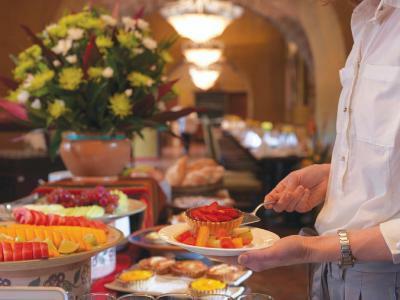 A complimentary buffet breakfast is included daily. 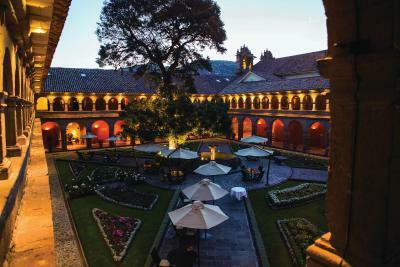 House Rules Belmond Hotel Monasterio takes special requests – add in the next step! 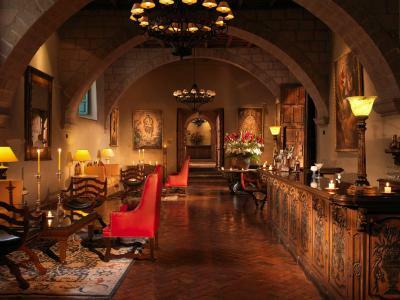 Belmond Hotel Monasterio accepts these cards and reserves the right to temporarily hold an amount prior to arrival. • Superior Double or Twin Room -Oxygen Enrichment. The staff is not very friendly when we ask extra questions such as can we leave our bags at reception before check in and can we change the room type etc, though they help us to solve the problem in the end, why not add more smiles? The hotel itself is like a tourism spot, very impressive. And the breakfast is the best one I ever had in five star hotels~! 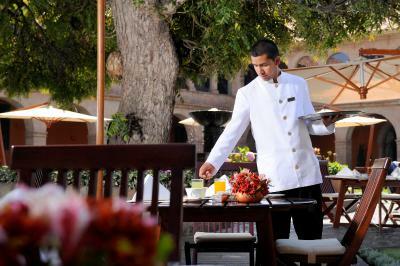 breakfast was great, location was superb, staff was wonderful, very service minded. The lack of indigenous artwork....even some that might be integrated into the Spanish motif. 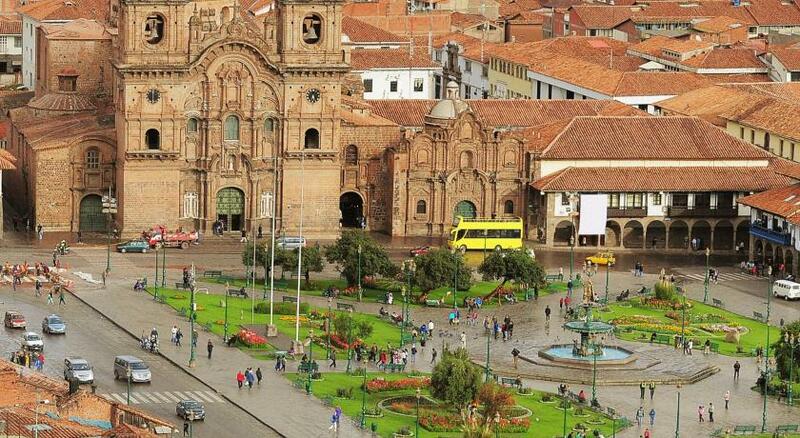 A very special place in magical Cusco...the city that combines the indigenous (Inca) world with the Spanish reality. 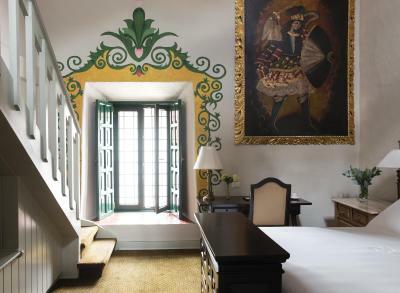 The hotel is replete with traditional Spanish paintings of a bygone era. I was wondering where the indigenous artwork was. 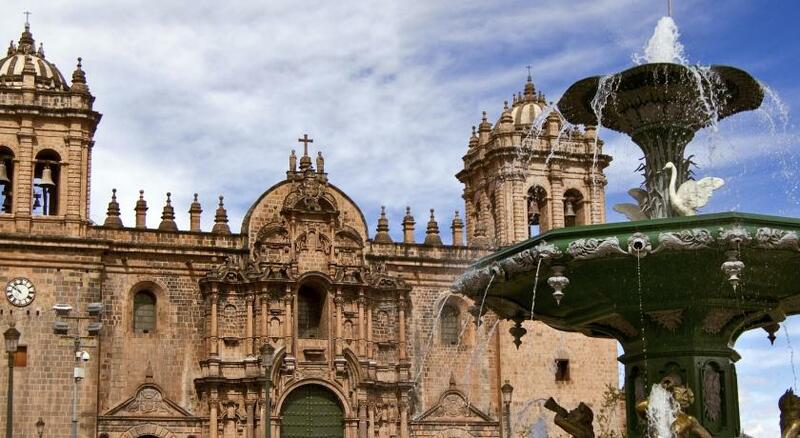 What makes Cusco so special is the unique combination that you can find the Cathedral or the Temple of the Sun and other places that layer the Spanish upon the indigenous or visa versa in special cases. 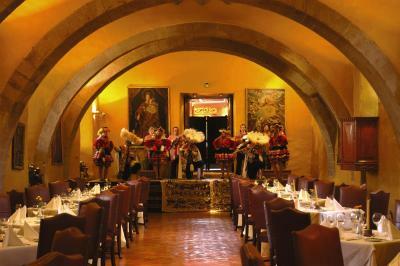 The Monasterio Hotel is very special. The staff are genuinely friendly and professional. The grounds are beautiful and historic, despite the painting that depicts a woman having her breast cut off by a cast iron contraption (my wife found this very disturbing..the painting was right outside our room). The concierge staff were extremely helpful and gave us the "lowdown" not just pointing us to the "usual" places.....so we visited the local market on their suggestion. Bountiful and special breakfast. I highly recommend this hotel. Excellent location just a block away from the main plaza. No coffee maker inside the room. The rooms were too small for the price. The breakfast was not up to the price. The service during breakfast was excelente tho. I had an awful reservation process and I had come with the intent of leaving a bad review. But the staff was so good and the hotel was so relaxing that I changed my mind. 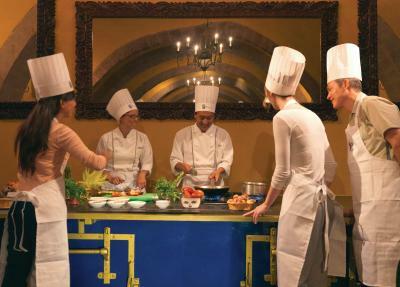 The hotel is incredible as many of the Belmond ones and of course super expensive. 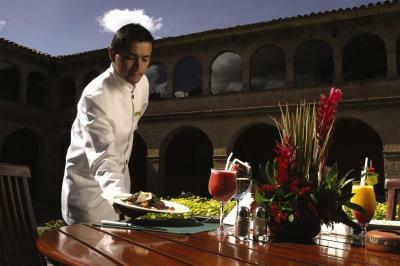 It is great hotel but you can find better price for money in Cusco town. They charged me 450 dollar without explaining where it charged. It took them 3 days but still not figuring out. The breakfast buffet and the bar were great. Amazing hotel, with a great staff in a lovely city. 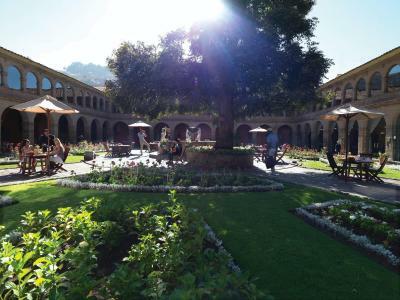 It is a peaceful gem in the somewhat busy Cusco. It is really a place were you can feel home away from home. 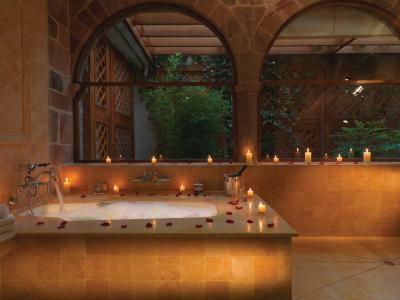 High end luxury in an enchanting environment. 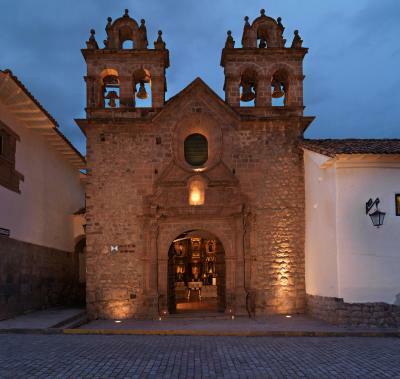 Location to centre of Cusco perfect and rooms filled with history.